An Edmonton hiker was rescued from Pinto Lake after authorities noticed an SOS signal written in the snow. 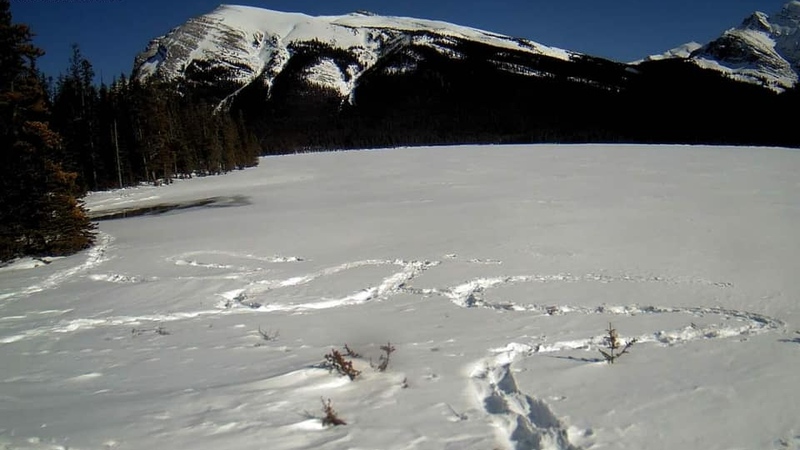 Rocky Mountain House RCMP were notified on March 18 after a remote forestry camera captured the message on Pinto Lake. A search and rescue team, along with RCMP K Division Air Services were deployed to Pinto Lake where the man and his dog were found in good health. The man had hiked in from Highway 11 near Cline River on a camping trip. He was supposed to return to Edmonton on March 17, and when he wasn't back by the next day, police were notified. The man told police he ran out of “adequate resources” and was unable to return to his vehicle, then decided to stomp out the emergency message on Pinto Lake. The man and his dog were both airlifted from Pinto Lake to the trailhead staging area. RCMP reminded the public to adequately prepare for backcountry excursions and to keep a locating device on their person in case a rescue is needed. Pinto Lake is located in Clearwater County, about 350 kilometres southwest of Edmonton.